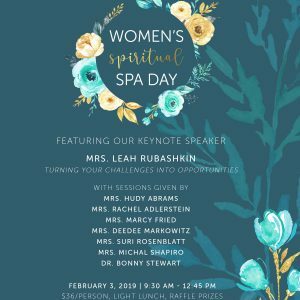 Join Torah Day School of Dallas as we celebrate our 16th year of educating the Jewish children of Dallas. 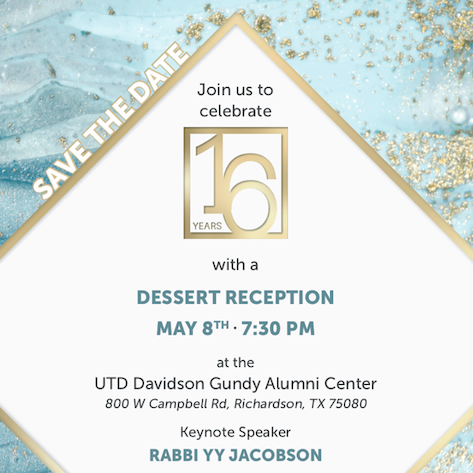 Be inspired by our guest speaker Rabbi YY Jacobson and enjoy a fabulous dessert reception. Doors will open at 7:30, and the program will start promptly at 7:45. Following the program will be a dessert reception not to be missed.